We the People have been betrayed..Once more! | Scanned Retina – A Resource for the People! ← The National Disgrace…The National Debt! We the People have been betrayed..Once more! Subject: We the people have been betrayed! This is my third attempt to secure your cooperation in this matter of grave concern to all residents of Orange County and a matter of national security. I urgently and respectfully request a timely response. Since members of Congress themselves, appear to be complicit in some separate criminal acts, and marginalized by possible self-incrimination, it appears Congress has collectively lost their ability to act independently and in accordance to their oath of office. A federal crime where such a violation which calls for removal from office and jail time. Under these serious circumstances, where the Congress which is rightfully responsible to deal with this matter has been compromised by possible collusion and coercion, this serious matter cannot be considered a political question. These are criminal acts and demand independent inquiry which can only be effectively investigated by a grand jury. And now we add the NDAA Military Detention bill where Congress has disabled one more protection for Americans, (Posse Comitatus See below) enabling Mr. Obama to use the military to detain American citizens, without due process. This, in addition, to also selecting any American for extermination based on his word alone. More details… and even more…. Sheriff, as you can imagine I fear for the lives and security of all Americans. As our County Sheriff I call upon you to take immediate steps to implement measures to secure the Constitutional protections for all citizens of Orange County California. To emphasize the seriousness of this situation Citizens of Montana have announced a recall of Congress where it applies. The Oath Keepers, a national organization of which you are familiar have called for similar action. Additionally, El Paso County Commissioner Peggy Litleton proposed a resolution which was passed which prohibits federal intervention in their county. In the interest of public safety and security, I encourage you to also support such a measure in Oarnge County. Sheriff Arpaio of Arizona has responded to the will of his constituents and launched an investigation into Obama’s eligibility. Since I see no such action in Orange County, I am therefore proposing, “We the People” move to investigate the president, his staff and certain members of Congress who have failed to live up to their contract, failed to fulfill their sacred duties to be true to their oath of office, to protect the Constitution and to protect the public trust. It is critical that once more, the people have an avenue by which to bring true and honest accountability to government. We need your assistance in maintaining order and to provide a positive legal environment in which “We the People” can carry out the necessary administrative activities. Under your authority and protection, we need to convene an independent grand jury, one not subject to influence or control by any prosecutor or member of the judiciary, to investigate this government for violations of the law, criminal racketeering and possible treason. In case there is any confusion as to your duties as a Constitutional Officer, I took the liberty of sending you Sheriff Richard Mack’s book outlining the responsibilities of the County Sheriff. 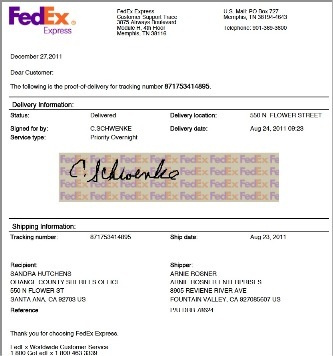 It was delivered to you on December 27, 2011. Also, may I add Sheriff Mack is convening a special seminar to engage and encourage county sheriffs to exercise the full measure of their authority in acting against this out of control and abusive federal government. According to Sheriff Mack your attendance to this special seminar has already been paid by concerned citizens. You can expect Sheriff Mack to contact you with details. Joint Declaration notifying specific federal agencies about specific violations that county sheriffs will no longer tolerate in their counties. As a final matter sheriff, several citizens would like to meet with you to discuss how we may be of assistance in moving forward on this urgent matter. Since your schedule is most likely the most pressing, we would appreciate your confirmation of a convenient date, time and location, within the next 10 days when we can meet to finalize the details of this proposed action. This entry was posted in Constituion, Corruption, Patriot Action and tagged abuse of power, betrayal, California, congress, constitution, corruption, government corruption, Obama, Orange County, sheriff Hutchens, unconstitutional. Bookmark the permalink. 6 Responses to We the People have been betrayed..Once more! To say nothing of the lost 20,000 surface to air missles making the world a much more dangerous place to fly in. Just one more change you can count on from Obama. Right on, Arnie, Keep up the good work..